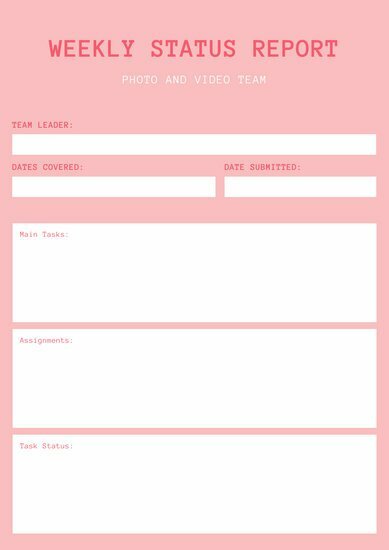 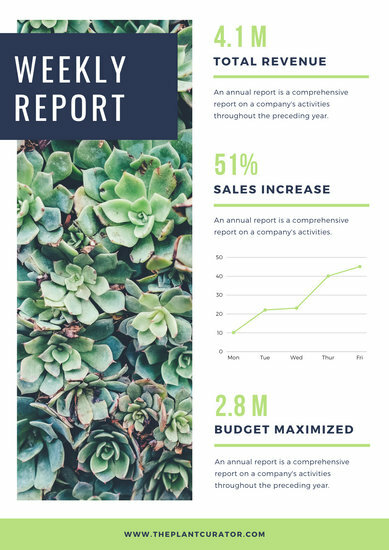 Browse Canva's wonderful selection of weekly report templates and give your dull documents a design makeover in a few simple clicks. 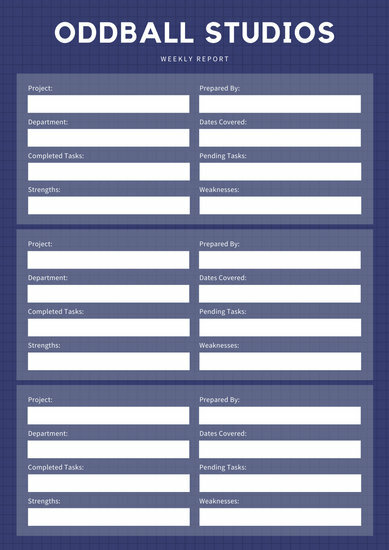 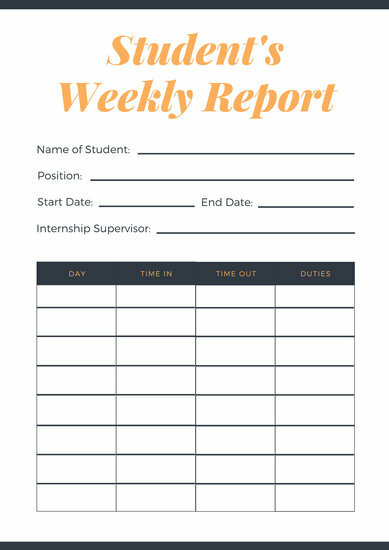 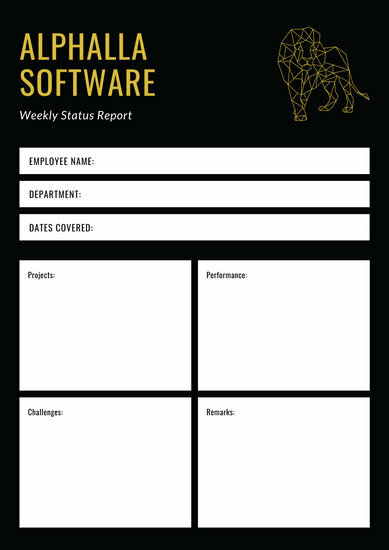 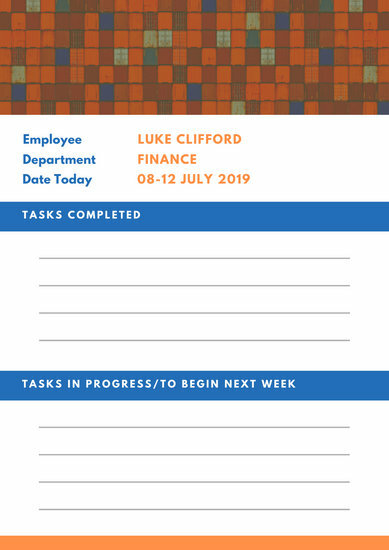 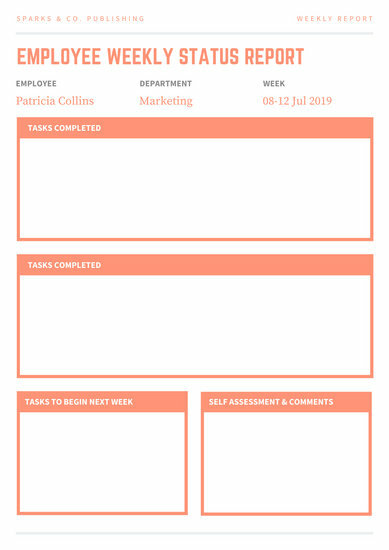 Weekly reports are an efficient and effective way of keeping track of a project as well as providing clear and brief information on accomplished tasks, employee or team performances, any issues or blockers on a project, as well as your next steps for the following week. 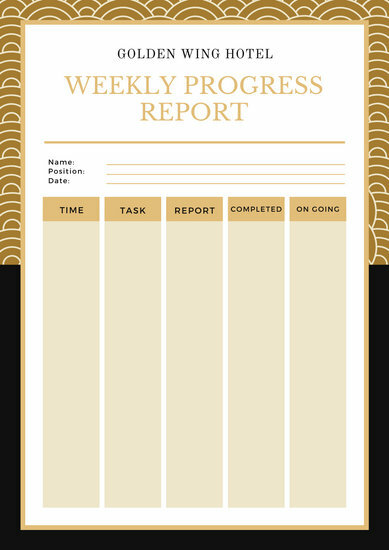 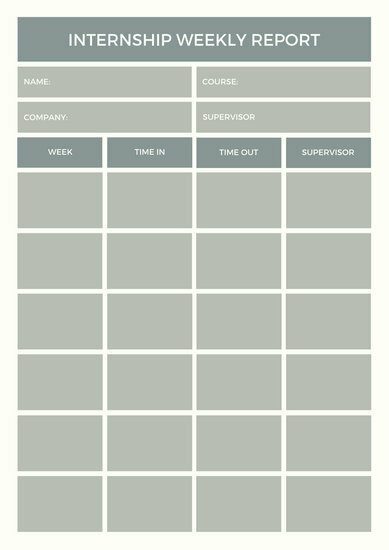 A well-prepared, concise weekly report will give your boss an idea on the progress you are making, how you’re tracking towards your goal and if there are any small fires that need to be put out. 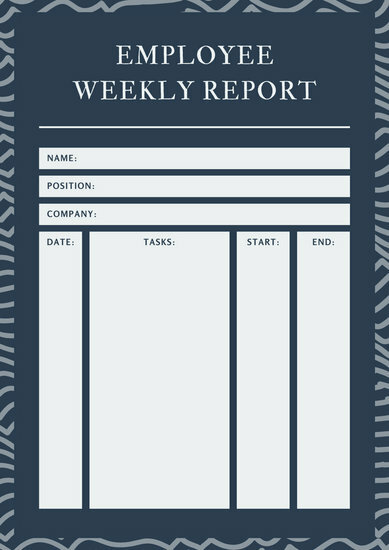 When drawing up a weekly report, always remember to keep it brief and clear-cut. 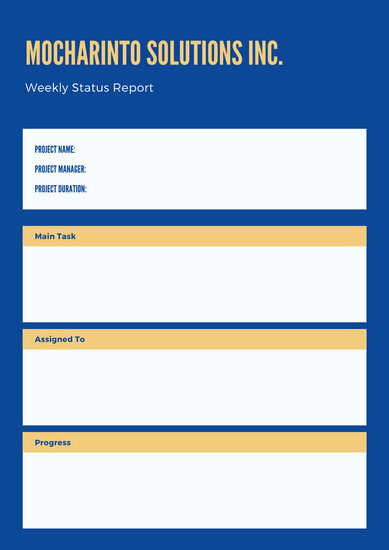 List down all important information such as completed tasks, ongoing projects, and up-and-coming projects for the following week, as well as any obstacles, issues, or concerns that need to be addressed. 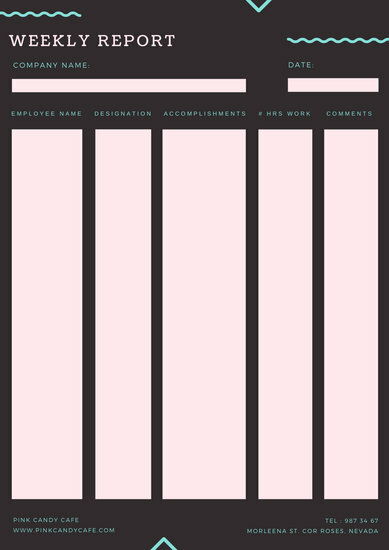 Your boss may want to add a few remarks to your report so it would be sensible to provide a space on your layout for this purpose. 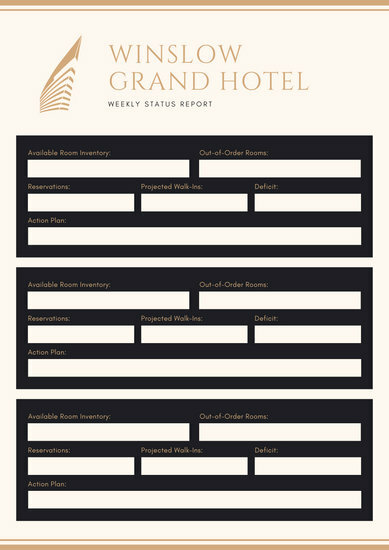 Keep your report well-ordered, brief, and to the point. 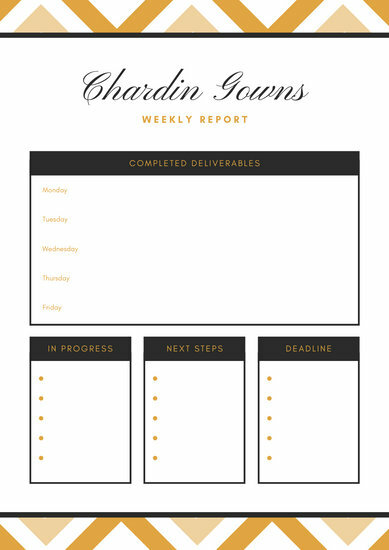 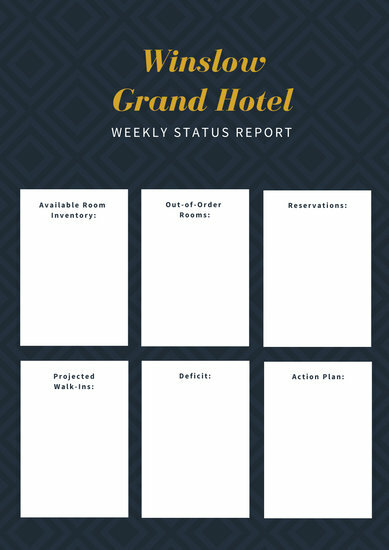 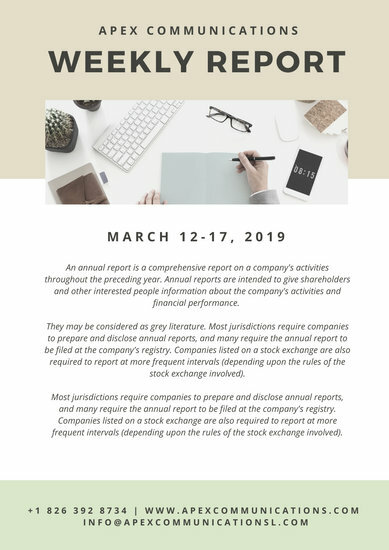 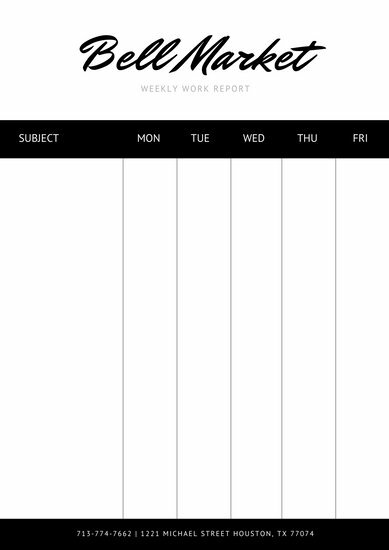 Preparing your weekly report doesn’t have to be tedious, with Canva around. 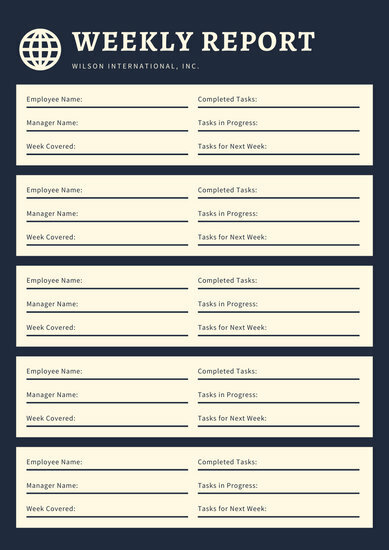 Just look through Canva’s collection of templates and find one you can comfortably work with. 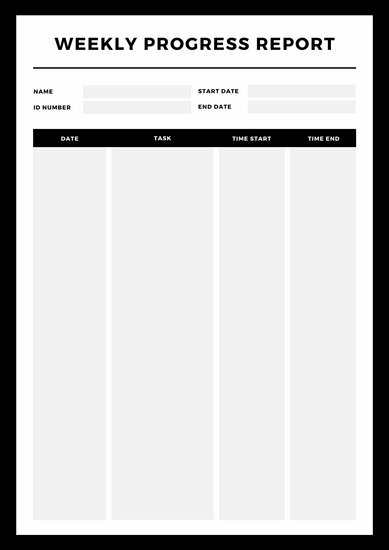 You can then customize your chosen template using our amazingly simple drag-and-drop design tools. 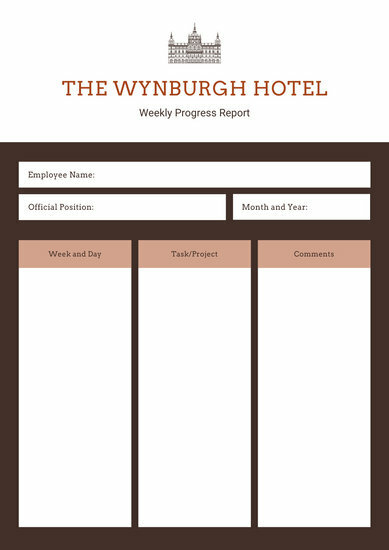 Need some images or icons to accompany your report? 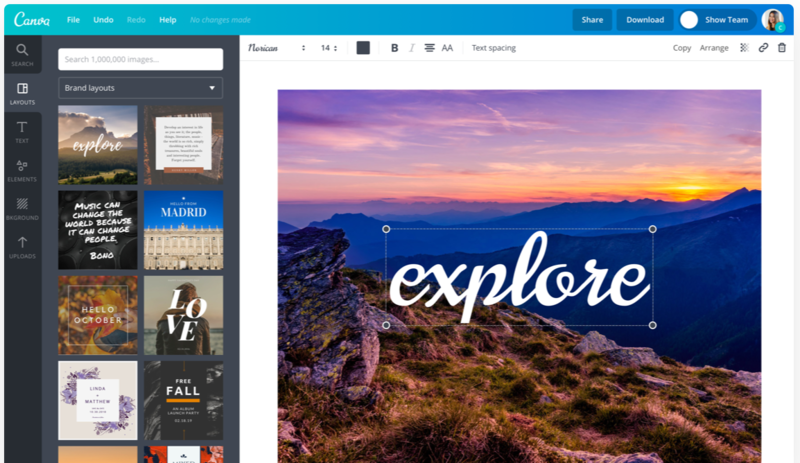 Have a look at our incredible media library filled with millions of photos and illustrations. 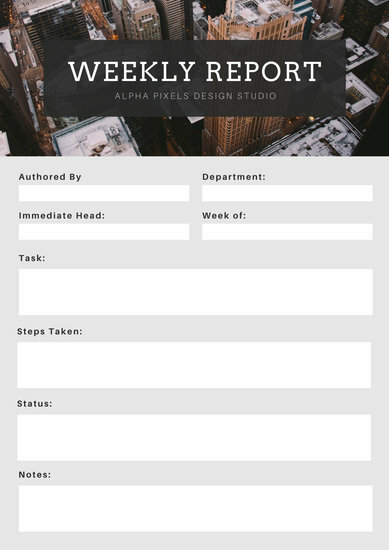 Edit the text by clicking on the field and entering your information. 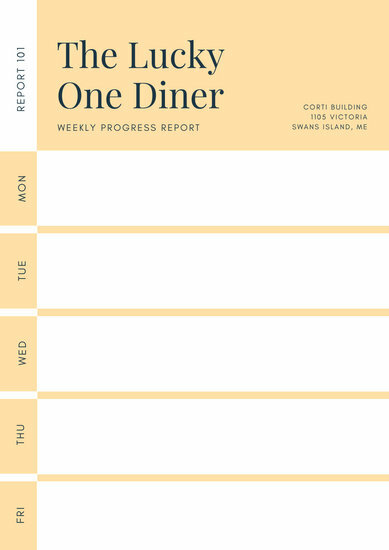 Pick a typeface, resize the font, adjust the spacing, and it’s done. 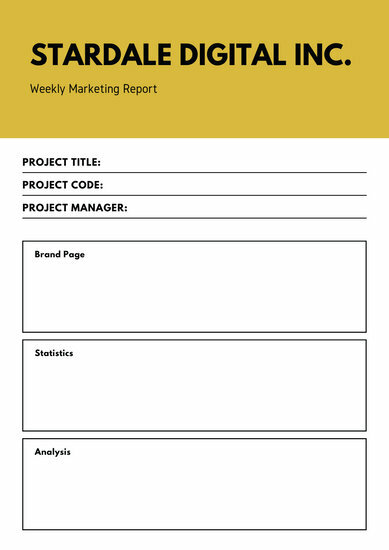 Easily share your report via email or download a high-resolution PDF copy for printing.